Fill in your details below to be added to our monthly newsletter and receive new recipes. If you want to buy any our our products you can find them in most IGA's, Foodworks, Farmer Jacks, Fruit Shops and Gourmet Food Outlets. Alternatively you can give us a call on 1300 760 760 or send us a message on our Facebook page. Fine herbs, spices, mustards and essences from Australia. No MSG, No GM Crops, No Preservatives, No Artificial Colour or Flavourings. 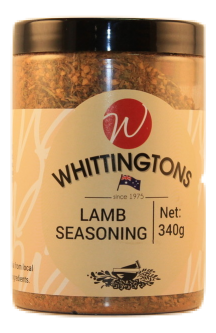 Whittingtons have been blending fine herbs & spices in Perth, Western Australia since 1975. 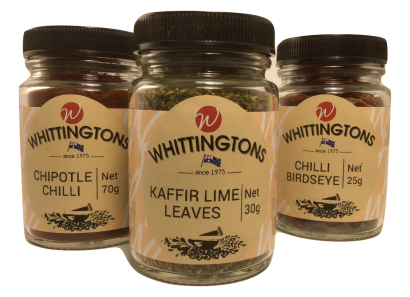 Whittingtons has been growing and blending herbs and spices in Western Australia since 1975. What sets us apart from others is our commitment to source as many ingredients as possible from local farmers. Our coriander comes from Dongara, our mustard seed from Moora, our truffles from Manjimup, our salt from the pristine Lake Deborah near Southern Cross and some of our oregano from Narrogin. When we do source herbs and spices that do not grow in Australia we only import the finest pure and tested ingredients. All Whittingtons blends are natural, do not include any fillers like rice flour, no artificial flavours or colours and are MSG free. Most are gluten free. To complement the herbs and spices we also make mustards, essences and other condiments. Over 100 different products from Basil Leaves to Oregano, Juniper Berries to Rosemary. Vanilla Extract to Almond Essence, Flaming Chilli Mustard to Dijon, Cranberries to Truffle Salt. They all enhance and add flavour to your food experience. We are a local Western Australian owned company that takes pride in supplying customers with one of the broadest ranges of herbs, spices, essences, salt and mustards. 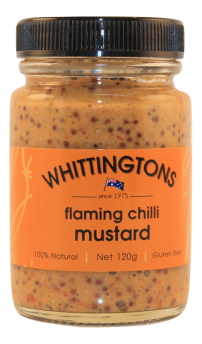 Whittingtons brands are available at most independent supermarkets, fine food stores or visit us in Osborne Park, just four kms north of the City of Perth. Whittingtons is happy to quote you on contract manufacturing of mustards, condiments, essences, seasonings, rubs and packaging of all herbs, spices, blends and salts. Whittingtons has a track record of producing brands for many third parties. We have low minimum order quantities, can assist you in product formulation and sourcing packaging materials if you so require. Chipotle peppers are red jalapenos that have been smoked so they’re not only spicy, they have a deep, rich and smoky flavour. Our chipotle chilli powder will add a big flavor with the smallest of sprinkles. This spice is a superb addition to chilli con carne, tacos, quesadillas and other Mexican dishes. But that’s not all. Why not try to add a little pinch of chipotle to your soup, hummus or a slice of pizza. 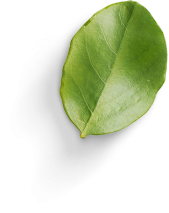 The Kaffir Lime Leaf is a key ingredient in Thai cooking as well as other Southeast-Asian cuisines. They are highly aromatic and add their own elegant flavour to stir-fry, curry, salad and fish cake dishes. Some examples are, Thai curry dishes and soups, such as Tom Yum, Thai fish cake or Asian Bouquet Garni. You can make up this Bouquet Garni with Kaffir Lime Leaves, lemongrass and ginger to your flavour stock. Birdseye Chilli is fabulous when used in marinades or sauces that are to be accompanied by fish or chicken. You can also use it to spice up dips, soups, pasta, or sauces. Our herbs and spices come in glass jars that have an opening to let you measure out in teaspoon quantities without wastage. Our jars are hermetically sealed to hold in flavour and freshness. Wherever possible we buy from local growers. Salt from Lake Deborah, Coriander from Dongara, Mustard Seeds from Moora, some Oregano from Narrogin, Truffles from Manjimup. If we can't get it locally or it cannot be grown in Australia, we import only the best quality pure spices unadulterated. For example, our imported oregano is only oregano and not mixed with olive leaves, out turmeric has high concentrations of curcumin and is not mixed with rice flour. If you need to buy in larger quantities all our herbs and spices come in canisters that hold up to five times the jar quantity and represent good value for money if you need large quantities to cook for a big party. We use the best vanilla beans from Madagascar and Papua New Guinea, to make this 100% Natural Vanilla Extract, based on the alcohol extraction method, much better than sugar based methods. Our vanilla does not crystallise when heated. The alcohol evaporates leaving a full vanilla flavour behind. A must for the enthusiastic baker who loves making cakes. The same method of extraction is used for all our essences. We preserve with alcohol. Use this essence to make great rum balls, add flavour to drinks and enhance ice cream. A very intense lemon flavour makes this essence perfect for lemon cheesecake, lemon glazed icing and your own limoncello after dinner digestif. This rich natural flavour is perfect for adding a touch of orange to cakes, cookies, chocolate and cocktails and cooking. Our black mustard seeds are grown north of Moora on Phil Gardiner's Edale Farm. The yellow mustard seeds are grown on John Minty's Kolburn Farm on the Dandaragan Moora road. We preserve our mustards with wine from Galfreys winery at Mount Barker in the Great Southern region of Western Australia. Our mustards are made in Perth and are a great accompaniment to any meat dish. For a fantastic salad dressing just throw of few dobs of mustard in a jar, add some olive oil and shake for your own personal unique salad dressing. Our head office is located at 78A Collingwood Street Osborne Park. Office hours are Monday to Friday 8.30am to 4.30pm. You can buy our products at most IGA's, Foodworks, Farmer Jacks, Fruit Shops and Gourmet Food Outlets in Western Australia.